It adopts copper alloy connecting rod and axle sleeve and rolling bearing kinematic design. It adopts oil cup instillation, manual oiling and felt oil store for lubrication. 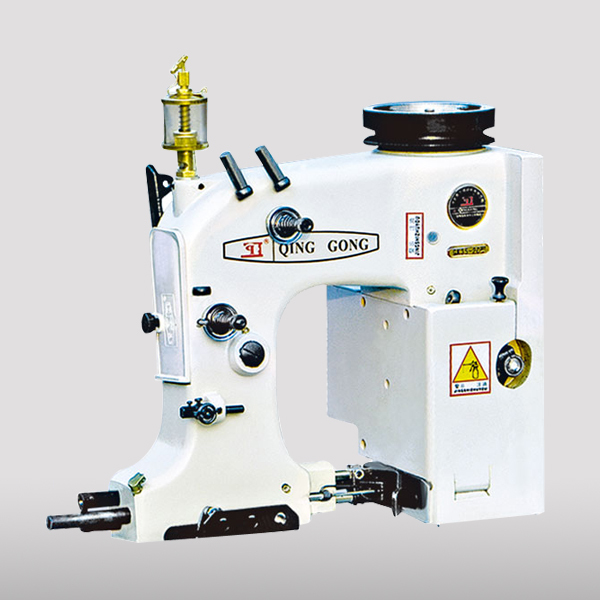 It has semi-automatic mechanical trimming device. 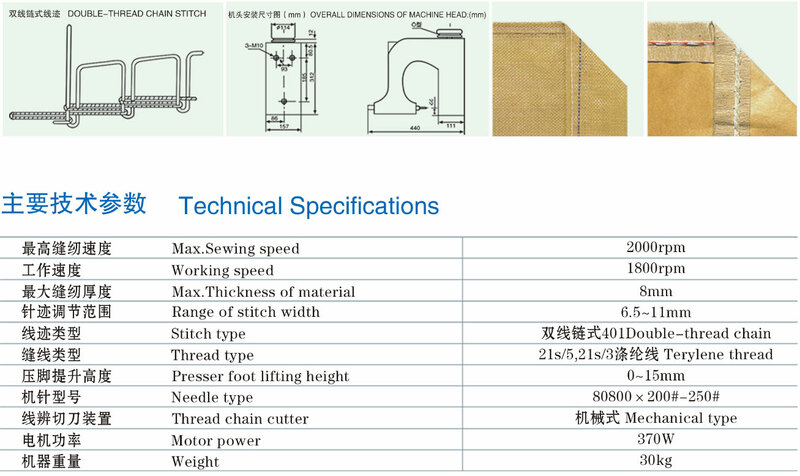 It has many characteristics of wear resistance of parts, high sewing speed, low noise, convenient maintenance and long use life etc. 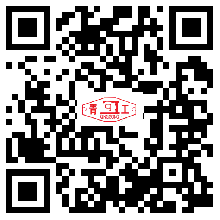 It is widely used in closing the container bags, such as plastic woven bag, gunny bag, cloth bag and paper bag etc, which filled with powder and particle in the industry of grain, chemical, feed, mine, coal and port and dock. It could be assembled on electronic quantitative packing scale in different models for feeding and bag closing.